How to explore the moon just by sitting in front of the computer? If we see the moon from a distance of 50centimeters and experiment like a scientist it would be nice. Now it is possible with the help of moon zoo project. In order to see the moon just visit www. 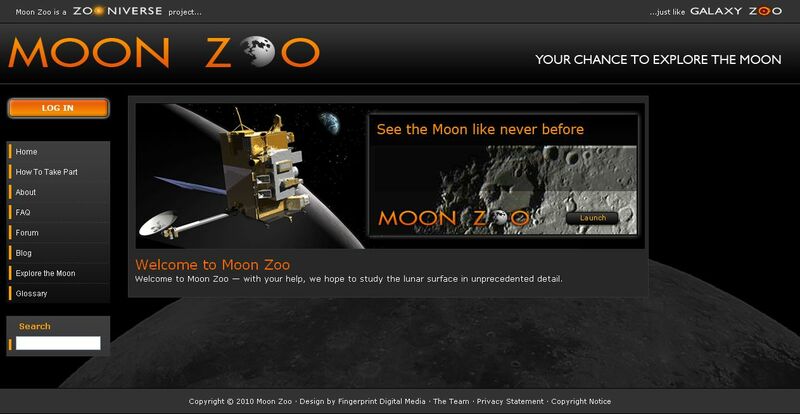 moonzoo.org and home page will be displayed with launch and menu bar tools. Just click on create one and create an account. There are many options like mark craters, mark interesting features, hide all, delete, making etc., by using the selection cursor and selecting the area on the moon, we can investigate it. These images can be zoomed for a different experience. By clicking on my moon zoo option in your moon tools on right side menu, we can explore the moon like Google earth. We can also mark the place which is interesting and important information is stored in explore the moon option. We can also login into other projects like galaxy zoo, solar storm watch, galaxy zoo understanding comic mergers and the hunt for supernovae. « How to use Google Reader at its best using the new feature, Google Reader Play? » How to use MS Office easily, to create documents, presentations and tables?